Deciding what is the best diet for babies often becomes complicated as there are so many good foods available at your local grocery store. However, there are some foods that are more effective for the growth of your baby when compared to others. When it comes to choosing baby food, the first word that comes to your mind is nutritious. 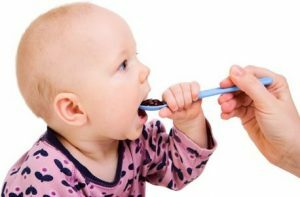 Following are a few of the foods that are considered to be the best diet for babies. There is a high quantity of iron and vitamins present in green leafy vegetables. These types of food are considered to be as beneficial for little babies as they are for full grown adults! Some of the more common green vegetables are kale, spinach, collard, and Chad. Experiment with several different types to see which one goes over best with your little ones taste pallet. There is a lot of vitamin A, and C contained in squash, and it has a pleasant taste (a bonus for finicky eaters). Squash is considered to be one of the best vegetables when it comes to creating a diet for babies. Broccoli is full with of calcium and fiber which makes it an ideal food for babies. Broccoli is also has renown properties that fight cancer, catapulting it to super-food stardom as a healthy food choice for your baby. It is also helpful in expanding the taste pallet of your child. Lentils provide a powerful dose of fiber and protein, which helps your baby grow and develop faster. Lentils are not only effective as part of a diet for babies; it is also cheap in terms of price. Blueberries are the perfect food for eyes and they help with brain development as well because blueberries contain anthocyanins. Blueberries are also essential for urinary tract health. This is important in order to stave off infections later. Meat is another excellent food for the growth of your child. Meat contains zinc and iron which is essential for your baby. Give your child some stew. It is not only easy to make, but for your child it is easy to chew as well. Be sure to use meat and vegetables together to give your baby a well balanced, nutritious meal. Garbanzo beans are also good for your child as these beans are rich in fiber, and protein. Garbanzos are cheap too! This makes them an easy addition to your baby’s meal plan. Avocados are important and should be included as a part of the diet for your baby as they are a major source of unsaturated fats. Some experts also believe that the composition of the avocado is very similar to a mother’s milk. You can mix mashed avocado with some other food items such as fish, fruits, and cheese for a great tasting meal! Prunes are a great source for providing your child with the all important ingredient, fiber. Prunes also provide immediate relief for your child if they are constipated (an added bonus). You can serve prunes pure in their raw, natural state, or mixed with any other food. Mandarin oranges are an extremely effective food for your child as it is a prime source of providing your child with antioxidants, and vitamin C. Mandarin oranges are one of the best foods to include in a diet for babies as most children love their flavor. Just cut the oranges in pieces and give them to your child. Enjoyment will soon follow! All of the above mentioned foods are an excellent source of vitamins, protein, minerals, and other substances necessary for the strong growth and development of your child. Your baby needs to develop healthy, so you have to select foods that meets most of the growth demands of your child. Using the foods mentioned above have been proven to be most effective as part of a diet for babies. Slice, dice, and puree your way to healthy child development!